This app is not user friendly. I paid for the year and I can’t figure out the trip planning. I downloaded the minimal map and the other one that was supposed to be more detailed, they were the same. This app is a waste of money. Why on earth would I pay a subscription for what is essentially a database of National Park brochures. I can download these for free on the internet. Because I had used the free version of the app to plan our park visits, it was easy to decide to pay for the lifetime membership. The features I like most are the descriptions with photos and maps for hiking. 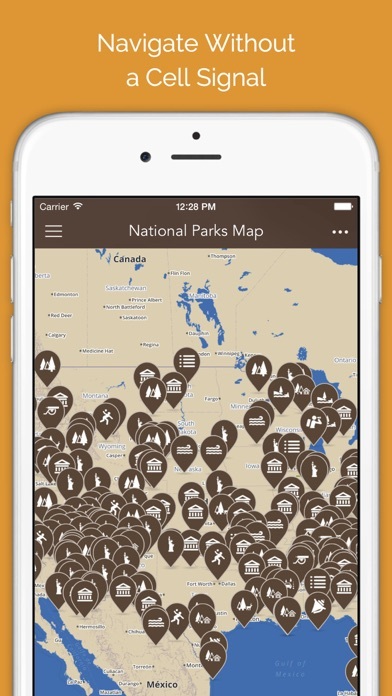 The app also allows you to easily keep track of parks you have visited - nice if all of the National Parks are on a bucket list. Customer support is very responsive. 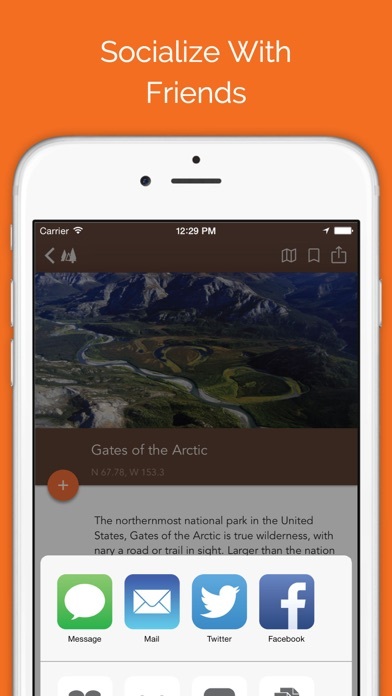 The app was a tremendous assistance while we toured Yellowstone and Grand Teton National Parks. Real time downloaded info and location identification made our park visits more enjoyable and less work than would have been possible with hard copy maps. Great purchase. Bought the lifetime membership to help with future park visits. 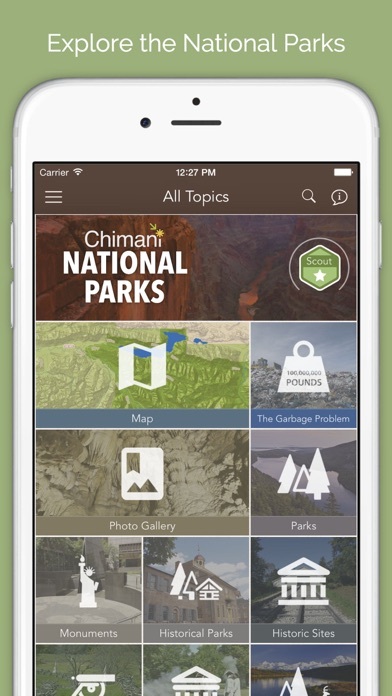 We have used the Chimani App over the past couple of years at various National Parks with great results. We purchase a lifetime subscription and are definitely getting out monies worth. It would be nice if there was a way to toggle on and off the dollar sign markers that offer discounts nearby parks. They cover up the actual park markers and make it hard to see what I’ve visited. Example: I went to Acadia and marked that as visited, which turned the marker orange, but I can’t see it on the map unless I zoom way in. It is covered by all kinds of dollar sign markers when zoomed out. Confiteor: my original rating with this review was 1 star. The app developer reached out in an effort to help me use the app. I am provisionally changing my original review at this time because our planned visit to Yellowstone is not until summer 2019. I am upping the rating to 5-stars for now based upon the responsiveness of the developer. I strongly believe in supporting developers for great products. ——- I am appreciative for apps which allow the interested person a trial period before deciding if they want to keep and use the app. The free trial period is very brief for this app so be advised. The developer is very responsive and interested in improving the app for the user. We have a bucket list of over two-hundred National Parks, Monuments, and Seashores/Lakeshores. 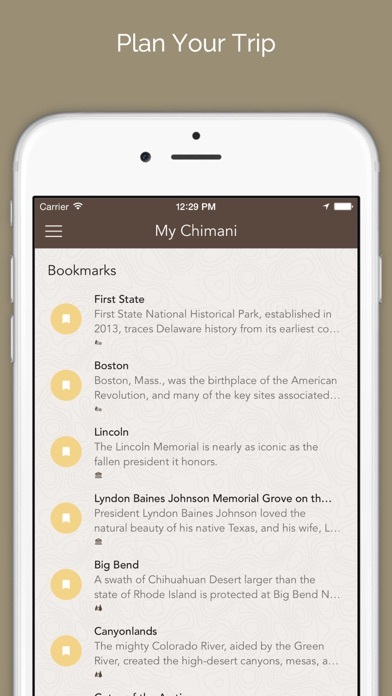 We use Chimani as one of our sources to help identify things we want to see and do. It isn’t 100% accurate, but is certainly worth reviewing whenever you need to plan a trip involving National Parks, and it gives important information about the park faster than the NPS web sites do. 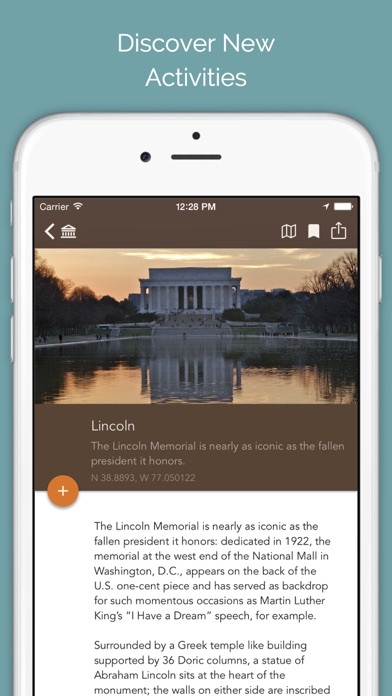 I just purchased the life-time subscription so we will have access to this app for the rest of our travels. I loved using Chimani to scope out National Parks before I went, but the new app that combines all the guides is ridiculously bulky and expensive. It costs more than a lot of people pay for an annual pass to our national parks where this information is passed out for free. I get that app developers deserve to make an income, but this app is not worth $50.